DETROIT -- Subaru is telling owners of some newer Legacy and Outback vehicles not to drive them because the steering can fail. The company is recalling about 52,000 of the cars and SUVs from the 2016 and 2017 model years. It also has told dealers to stop selling them until they're repaired. About 22,000 of the cars have been sold in the U.S., with the remainder still on dealer lots, Subaru says. 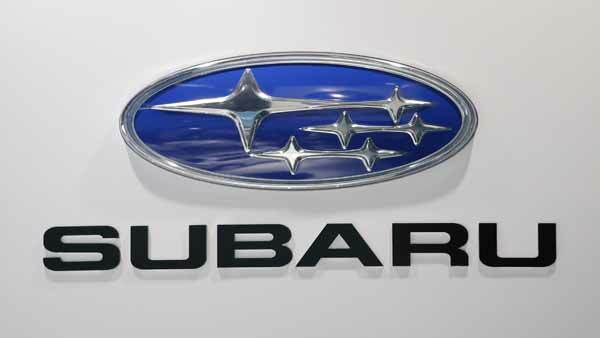 In documents posted Friday by the National Highway Traffic Safety Administration, Subaru said the steering columns may have been manufactured improperly by a parts supplier. The columns may not engage properly with the rest of the steering system. "If this were to occur, the steering wheel may rotate freely and the driver would lose the ability to steer the vehicle," the documents said. The problem was discovered May 3 when the owner of a 2016 Outback reported trouble. Subaru says there have been no crashes or injuries. The Outback is Subaru's second-best selling vehicle. Dealers will send technicians to a customer's location to inspect the steering columns. If they weren't manufactured properly, they will be replaced starting in mid-May. The company will offer loaner cars until parts are available, Subaru of America spokesman Mike McHale said. "We have the details of the owners and are contacting them directly," he said. Subaru does not know how exactly many cars will have the problem. The problem affects cars worldwide, but McHale said he did not know the number. The recall covers 2016 Legacys and Outbacks made from Feb. 29, 2016 to May 6, 2016. Also covered are 2017 Legacys and Outabacks made from April 18, 2016 to April 29, 2016.